Thibra is on a mission to create and sell premium quality thermoplastic materials and 3D filament at a reasonable price for industrial designers, prototype makers, professional artists, designers, costume- and prop makers, hobbyists and the cosplay community. Thibra Fine and Tex meld together beautifully to bring your ideas to life. Both can easily be spray-painted after degreasing and combine well with other materials. Plus, your object can always be adjusted and corrected with heat. 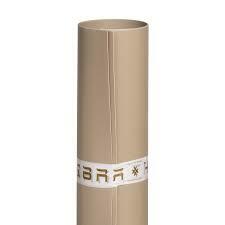 Thibra is a malleable material made for a variety of applications. Heat Thibra to copy the shape of any existing product in your home or to make silicone molds for jewelry, lamps, bowls, wall decoration, necklaces, pendants, and rosettes. Create smoother prototypes and creative designs by using Thibra3D Skulpt in your 3D printer. When heated, printed objects can easily be remodeled with additional details on the surface. A moldable thermoplastic sheet for making smooth shapes and extreme forms. Reheat to reuse again and again. Similar to the original Thibra, but with a mesh that ensures greater stability and durability when processing. A sculptable 3D printer filament that can easily be heated and then sculpted like clay during post processing. Learn more about our purchasing options on our sell sheets by clicking below. Thibra thermoplastic materials offer a whole new range of possibilities in modeling and shaping. With Thibra you can make costumes, masks, harnesses, props and parts of decor, such as jewelry, lampshades, bowls, etc. You can also create and repair scale model objects as well as build prototypes and sculptures.